Sandra Schackel was not raised on a farm or ranch, but she is fascinated by history, especially the changing roles of women in the new American West. A retired professor from Boise State University, Schackel taught womens and American Western history and was instrumental in founding its Womens Center in 1992. Working The Land is Schackels third book. All of her books feature the role of women in shaping the new American West, especially since the end of World War II. A fastidious researcher, Schackel spent 15 years interviewing women from Idaho, Texas, New Mexico, Colorado, Nevada, Arizona and Illinois. The two women from the Midwest are from near Schackels hometown. She reconnected with them after a school reunion. The 31 women highlighted in Working The Land range in age from 20-something to late 80s. Some were raised on farms or ranches, and others married into the lifestyle. Some of the women are rich, but most are poor or just getting by. There are women whose families have worked the land for many generations and others who are trying to return to the land. Of special interest to Durangoans will be the two local people featured. Terra Graf is one of the youngest in the book, and she now lives northeast of Cortez. Barbara Jefferies is a well-known woman and is the fifth generation on a ranch in the Bayfield area. In 2004, the Durango Chamber of Commerce named her Agriculturist of the Year. Last March, Barbara and her husband, Ned, were named Cattlemen of the Year. Barbara also is the first woman president of the La Plata-ArchuletaCattlemens Association. The book is told in first person by both the author and the women she interviewed. Each interviewee tells their story about their upbringing, home and how they came to live the life they have chosen. These people are sincere and devoted to their lifestyle. The book is organized into five chapters: Id Rather Be on the Farm, Id Rather Work Outside Than Do Housework, I Didnt Work Cows, I Gave Piano Lessons, Wed Be in Bad Shape if It Wasnt for Hunting and Eat More Beef. The chapters reflect attitudes about living in rural America and working with nature. Schackel chronicles the changing roles of women on the farm/ranch. Originally, women worked inside and provided a supporting network to the men who worked in the fields or with livestock. Gradually, women did more by either taking on more work outdoors, or when technology advanced and agribusiness threatened the smaller family farms, took work in town to supplement the family income. Working The Land has more than 30 black-and-white photographs showcasing women and the land they love. The photographs reflect these women who are happy and content with their choices in life. The women share their triumphs and struggles, and some have become active in promoting public education and opinion about responsible agriculture practices. Throughout the book, the children who were raised on farms and ranches talk about the benefits they reaped by growing up in families where everyone worked together. They learned valuable lessons about hard work, responsibility, being close to nature and fresh air. Now many of those same children are adults and returning to the land with their children. Working The Land leans toward an academic tone, but it is filled with fascinating stories and a valuable insight into how agriculture has evolved in the American West. With the growth of technological advances, big business took over the nations food supply, but now the public wants to return to the days when food was raised in the family garden and meat came from local ranches. This book is educational and is filled with the stories of a generation dedicated to preserving the land and a way of life that is threatened daily by outside forces, especially the economy and the fickle nature of working the land. 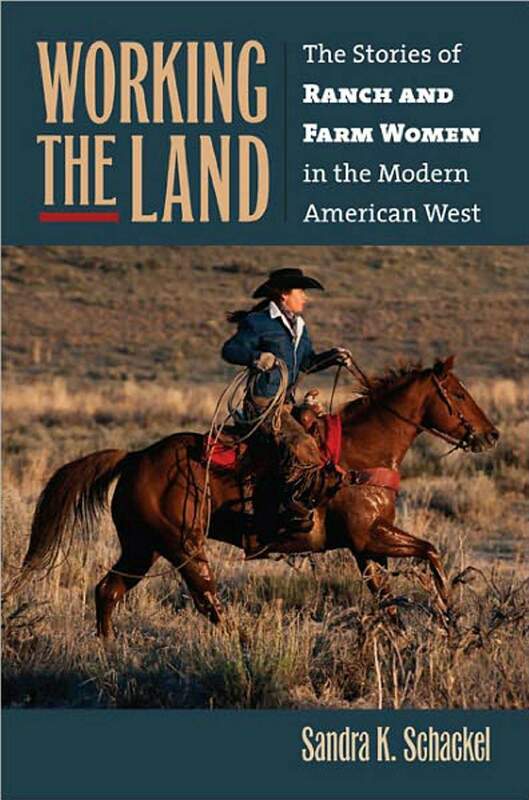 Working The Land: The Stories of Ranch and Farm Women in the Modern American West by Sandra K. Schackel. University Press of Kansas, 158 pages, $24.95. Schackel will speak and sign copies of the book at 6:30 p.m. today at Marias Bookshop, 960 Main Ave. For more information, call 247-1438 or visit www.mariasbookshop.com.